iOBD2 iPhone Auto Scanner is an app for your car, turns your Phone/Pad into an advanced display for your engine data. iOBD2 works with most 1996 and & newer model year cars and light trucks (OBDII & CAN)-domestic and imported. Please verify that your vehicle is OBD-II/EOBD compliant before purchasing! iOBD2 works with most 1996 and & newer model year cars and light trucks (OBDII & CAN)-domestic and imported. 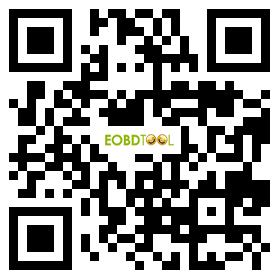 IOBD2 APP can be searched and downloaded at the Apple store and Google Play Store. Read DTC: Read the current DTC that engine has stored, and DTC info. Clear DTC: Clear all the current DTC. Display DTC Definition: Show all the definition and explanation of DTCs. Guide Maintenance:Guide how to maintenance the problems of car according to the trouble codes. Live data: Read all the running parameters that related to the ECU. Freeze frame data: OBD system will record the system running parameters related to the malfunction the moment when it occurred at the same time when it set the DTC. And this group of data is called freeze frame data. Readiness test: Readiness reflects the status that all the valid diagnostic functions. The diagnostic functions are referring to the important monitoring functions in OBD system, e.g. Oxygen sensor monitoring, Oxygen sensor heater monitoring, and EGR system monitoring, etc. These diagnostic functions are closely related to the engine emission control. Read vehicle info: Read vehicle info such as Vehicle Identification Number(VIN), Calibration IDs(CALID) and Calibration Verification Number (CVN). Oxygen Sensor test: This service is to allow access to the on-board oxygen sensor monitoring test results. The same information may be obtained by the use of [Mode 6 test]. Mode 6 test: This service is to allow access to the results for on-board diagnostic monitoring tests of specific components/systems that are not continuously monitored. Examples are catalyst monitoring and the evaporative system monitoring. EVAP System Test: The purpose of this service is to enable the external test equipment to control the operation of an on-board system, test or component. Cruise Mode: Vehicle speed, the current engine load, water temperature, vehicle travel time, vehicle travel average speed, Continuous running mileage, instant fuel consumption(dynamic), ever wished you had your own customizable gauges, showing only the data you were interested in. Sport Mode: Show you the engine rotational speed, vehicle speed, water temperature. Performance Mode: Show you the vehicle speed, capacity, torque, horsepower and you can also customize your gauges here. It is to show the driving track of the vehicle to give data and foundation for reference. Open the Location Services of the mobile, connect iobd2 to the vehicle and open iobd2 APP, choose "My Dashboard", and it will record the track of the vehicle. Quit "My Dashboard" then it will stop recording the track of the vehicle. Accelerate/Decelerate Test: Test acceleration/ deceleration process time and distance. It allows users to change the unit of temperature, mileage, vehicle speed, fuel, fuel consumption, torque and horsepower, set the alarm for over speed, fatigue driving and water temperature, and set parameters of vehicle weight, fuel consumption coefficient and vehicle speed coefficient according to their needs on [Customize My Dashboard]. It is to save and review the recorded diagnostic data of the tested cars, such as live data, freeze frame data, trip record and my dashboard data. The data can be shared to Facebook and Twitter . If you meet any problem when testing your car,please give us a feedback according to the below steps, an engineer will reply you Asap usually within 1-2 working days. All cars and light trucks built and sold in the United States after January 1, 1996 were required to be OBD II equipped. In general, this means all 1996 model year cars and light trucks are compliant, even if built in late 1995. 2) There will be a note on a sticker or nameplate under the hood: "OBD II compliant". Where is the connector located? The connector must be located within three feet of the driver and must not require any tools to be revealed. Look under the dash and behind ashtrays. While the parameters, or readings, required by OBD II regulations are uniform, the auto manufacturers had some latitude in the communications protocol they used to transmit those readings to scanners. Naturally, each felt they had the one true way, so we have three different OBD II communications protocols in use. What Communications Protocol does my vehicle use? As a rule of thumb, GM cars and light trucks use SAE J1850 VPW (Variable Pulse Width Modulation). Chrysler products and all European and most Asian imports use ISO 9141 circuitry. Fords use SAE J1850 PWM (Pulse Width Modulation) communication patterns. There are some variations among captive imports such as the Cadillac Catera, a German Opel derivative, which uses the European ISO 9141 protocol.